Friday evening's once per month beginning Friday 23 March! A special class for women to undertake an exploration of the elements through creative yoga, free movement, music, dance and meditation. Alex will guide you through a range of different elements each month to tap in to the vast range of potential we hold within our feminine energy. Alex is extremely passionate about the benefits of yoga, free dance, meditation and embodiment practices for women. With years of experience sharing these practices indivdually she is combining their gifts to create Sacred Flow. 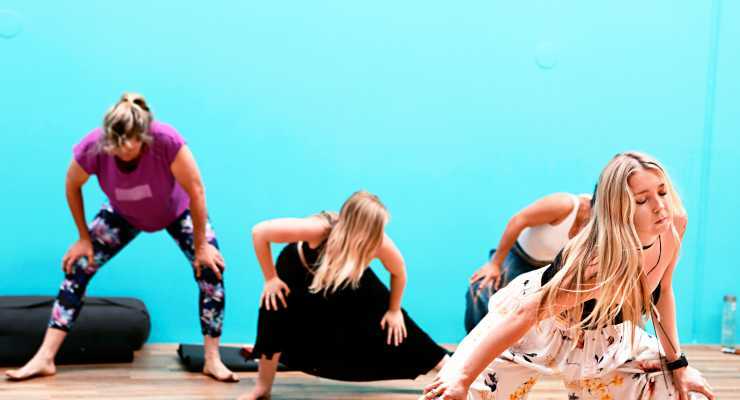 Sacred Flow will provide you with a safe container to move out of the mind and in to the body to move, flow and feel, guiding you to a place of inner freedom, power, ease and connection. No experience required! New and current members welcome. Normal class price: $23 or with your Yoga Sita class package.